The Personalized Photo Mug Training Program consists of two (2) days of on-site training conducted at Your Location on your New Equipment. Make money while learning the Photo Mug Business at your location. Learn the secrets of quick, economical production of Photo Mugs. Our training program will allow you to learn the techniques, and applications that will result in you developing a successful business quickly. If the training is conducted in a Shopping Mall Location or other Retail Location the Training Schedule will vary and may be conducted in conjunction with the Mall or Store Hours allowing for immediate product sales. Be sure and bring photos for transfer to all Training Sessions. Training will be conducted at a location of your choice. Introduction to Personalized Gifts, Equipment Installation, and Set Up. Hands On Product Development. Workshop Session #1 covering the “How To” of development and creation of Photo Mugs. This Session covers the preparation of photos or taking of photos for transfer to Photo Mugs. Color correction issues will be discussed. The Workshop will cover a variety of issues dealing with the creation of Personalized Photo Mugs, Frosted Mugs, Color Changing Mugs, and Steins. At this hands on Workshop Session products will be made for customers and/or display. Workshop Session #2 will cover the creation of Photo Mugs. 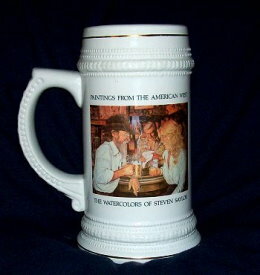 Creating Photo Steins, and Frosted Photo Mugs, will also be covered during this Session. We will create Photo Mugs for your customers at this session. Workshop Session #3 will focus on reviewing a variety of Photo Mug issues and develop a retail strategy for your individual needs.